Your journey with Kylie’s Beauty begins in a peaceful and relaxing environment where you will immerse your body, mind and spirit within the tranquil surrounds of the salon. Our team of dedicated professionals possess a genuine desire for your overall wellbeing and will make your experience the ultimate getaway from modern day stress. There are littlle ways that you can help us to help you to get the most out of your treatment as listed below. Arrival Time: If you are a new client to the salon we recommend that you arrive 10 minutes prior to your scheduled appointment. So that you can fill in our questionnaire and allow time to relax before your treatment. In the event that you arrive late, we will try to accommodate your appointment but treatment times may be reduced and incur a charge for the full time and treatment booked. We recommend that you think about the bathroom before your treatment we do have facilities available, so please arrive earlier if needed, so this time is not taken into your appointment time. We endeavour to keep to our daily schedule but cannot guarantee this so please allow 10-15 min leeway around your appointment time. Salon Attire: It is advisable to remove all jewellery before a massage. If you are having an upper Body massage it is advisable to wear loose fitting trousers/skirt if you are wanting to leave them on, so that towels can be tucked into the top area to prevent fabric staining by oils used. If you are having a Full Body massage you will need to remove clothing but you must leave on underpants. Our trained therapists use professional draping techniques with towels to ensure discretion and comfort during your service to respect your privacy. It is not acceptable for you to not wear underwear under any circumstances. For health reasons and respect to the therapist, underpants must be worn for all treatments. Please remove all facial piercing before a facial. Men should shave at least 4 hours prior to a facial. ​Cancellation Policy: We prefer 24 hours’ notice during weekdays and 48 hour's for weekend bookings to be cancelled this is so that your appointment time can be offered to another client. A “no show” will be recorded on file for future appointments and may restrict your future booking requests. If your appointment is booked with a discount voucher and 24 hours’ notice is not received, the voucher will be considered redeemed. We do understand that unexpected things happen and we are happy for you to offer your scheduled appointment to a friend or family member in your absence. To avoid voucher loss or cancellation costs make sure you contact us 24 hours’ before your scheduled appointment. 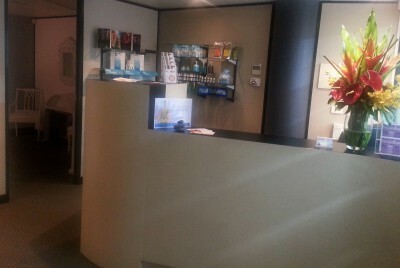 Consideration of other clients: The salon environment is one of tranquillity and relaxation. Please respect the peacefulness and privacy of other guests. Kindly place your mobile phone or other electronic devices on silent and please refrain from talking loudly in the salon especially if receiving phone calls in the salon area. Thank you for your understanding. Health:​ If you have any medical conditions that may affect your treatment please notify your therapists when booking any treatments and before your treatment, e.g. if you suffer from any physical ailments, disabilities or are pregnant. Treatment Consent: Your written consent on the questionnaire acknowledges that you have understood what is involved in your requested procedures and treatments. We encourage clients to identify their preferred procedures so we can tailor our treatment to suit. Solicitation of staff, sexual harassment, behaviour deemed to be inappropriate or inappropriate conversation, is not tolerated and will result in your treatment being terminated and can result in official action being taken.